Want to take a trip on the wild side? But want to indulge in luxury? 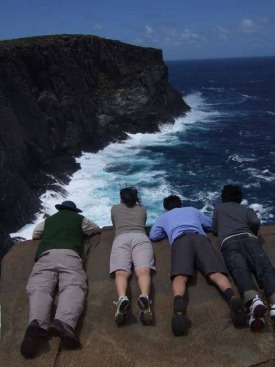 Want to stand near the southern most edge of Western Australia? But want to sleep in comfort? Out of Sight Tours and HideAway Haven have joined forces to bring you both. This package includes 2 night’s accommodation at Albany’s newest 5 star B&B, gourmet breakfast, dinner and a private tour with multi-award winning eco tourism company - Out of Sight Tours. This extraordinary eco-tour will take you on an awesome off-road journey to places that few people will ever see. Your experienced guide will take you along a 4WD-only track to see amazing granite and dolerite coastal cliffs, peaceful beaches, and hideaway bays in West Cape Howe National Park. After your exhilarating day tour return to HideAway Haven and relax on your deck while your dinner is being prepared, then unwind in the therapeutic Jacuzzi.